The Sponsors who were selected and served invitations for the Parent and Grandparent Sponsorship Program can submit their applications until December 8. The 90-day window for receiving applications under the program is coming to an end, and IRCC has warned the people against missing the deadline. Immigration authorities had conducted another round of invitations from September 6, 2017, as the application threshold of getting 10,000 was not attained from the draw held earlier in 2017. The IRCC criticised for changing the format of the application process of Parent and Grandparent Sponsorship Program for the year 2017. The time and arrival serving policy were withdrawn, and a new lottery-based format was introduced to make the system fair and rational. 95,000 families had put up their names for the draw held in the initial days of 2017, and among them, 10,000 applications were taken up for sending invitations to apply. IRCC received applications following this draw, and in June 2017, 700 applications submitted, but a few of them were left incomplete. Under the previous system, the window for application was opened in January and the first 10,000 requests received were processed. As a result, the lottery format was introduced, but it has a few implementation problems. The criticism against the change was that it was announced in December 2016. At that time, many families had spent time and expenses, for preparing the applications, as required by the old system. The method for entering the lottery did not cover sufficient detail. There are qualification requirements for the Program, as the income level of the sponsor and the health of the parents/grandparents. These norms remained unlisted on the form for participating in the lottery. Because 95,000 expressions of interest were received, the chance of getting selected was daunting for the sponsors and candidates. The IRCC has said it is considering changing the system for 2018. A massive backlog of applications had piled up Under the old system, and it is progressively going clear. 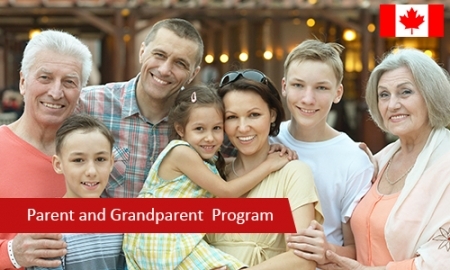 There is an alternative to the Parents and Grandparents Sponsorship Program, and the eligible families need to consider the Parents and Grandparents Super Visa. It allows both the categories to stay for two years at a single time and has a provision to be extended to 10 years. Figures reveal that 89,000 parents/grandparents of citizens and permanent residents were given the visas after the introduction of the system in 2012. The applicant is required to meet eligibility norms for a regular visit visa. The applicant must be in superior health and have a suitable travel document and also satisfy the immigration officials that they will leave the country after their authorized stay ends. They need to have adequate ties with their home country like a job, or a family/property. They must have adequate funds to support themselves during their stay. They must provide a letter of invitation to the applicant. It should contain information about the planned visit, about the occupation and economic situation of the child/grandchild in Canada. It must have a written and signed promise to provide enough financial support for the applicant during their stay.